Looking for the Wednesday Wandering? Go back one to learn why you should not open your door this Halloween to anyone clad in yellow… especially if they are wearing a mask. Then join me and Alan as we take a look at Henry VI and the war with the most beautiful name ever. JANE: So, Alan, last time you mentioned that Henry VI managed to be king twice. How did he do that? And does that make him Henry VI and Henry VII? ALAN: No, he was Henry VI both times. He inherited the throne in 1422 when his father, Henry V, died. The young Henry was only nine months old when he became king and therefore a council of regents ruled in his name until he reached his majority. JANE: What age was considered majority back then? Do you know? ALAN: It varied. In theory it was twenty-one but in practice it could be much earlier. Henry was officially declared of age in 1437, when he was sixteen years old. Henry, who was of the house of Lancaster, was strongly opposed by the Yorkist branch of the family during his reign, and on 4th March 1461 a Yorkist army deposed and imprisoned him. Edward of York was then crowned as Edward IV. JANE: Wait… Don’t you mean Eddard of Stark? Oh, wait… That’s Game of Thrones. JANE: Going back to the real war, rather than its skiffy offshoot, I’m curious about something. Regents ruled for Henry VI from when he was nine months old until he was 16 years old. Presumably they were also Lancastrians. Did they get into conflict with the Yorkists or did the Yorkist faction wait patiently until Henry VI took the throne? ALAN: It’s not quite that clear cut. The regency council was dominated by Henry’s uncles, so obviously they had a vested interest in keeping power within the immediate family. However the family was large and had many branches. The Duke of York also had a legitimate claim to power – the houses of York and Lancaster were both offshoots of the Plantagenet line. Political differences, particularly over the conduct of the war in France, eventually forced them into armed conflict with each other. But really you can’t go far wrong by thinking of the Lancastrian / Yorkist conflict as just a family squabble writ large. JANE: And those are the worst! ALAN: After Henry was deposed, Lancastrian resistance continued and, in 1470, Edward was forced into exile. Henry was released from captivity and returned to the throne. Unfortunately, Henry’s second reign lasted less than six months. The Yorkist forces rallied and defeated Henry’s armies at Tewkesbury on 4th May 1471. Henry was imprisoned in the Tower of London. Edward IV was crowned again (so he, too, was twice the king of England) and Henry died less than a month later. The rumour was that Edward had ordered him to be killed. ALAN: Indeed it was: the Red Rose of Lancashire versus the White Rose of Yorkshire, a bitter dispute that is still alive and well today. I was born in Yorkshire and so I owe my allegiance to the White Rose. These days, our patriotic fervour tends to manifest itself in trans-Penine cricket matches. There was a time when only people who were actually born in the county were allowed to play for the Yorkshire cricket team, so as to stop infiltration by those nasty Lancastrians. That rule has been relaxed in recent years, presumably because the Lacastrians, who had no such rule and who recruited their cricket players far and wide, gave us far too many good thrashings! JANE: Do the jerseys or whatever it is the cricket players wear have roses on them? ALAN: It comes and goes as fashions do, but certainly it’s not unheard of. 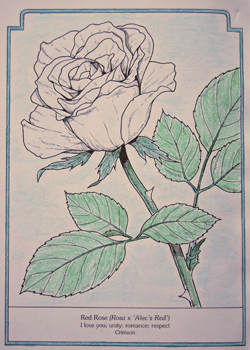 I vividly remember as a small child at school drawing roses on white paper, and not being allowed to colour them in. They had to stay white! Sadly for the stage, Shakespeare decided to deal with the events surrounding the War of the Roses when he was relatively new as a playwright. There are three plays about Henry VI and the events of his reign. However, for years there was a great deal of resistance among both scholars and admirers of the Bard to even admit that he wrote the first of the “Henry VI” plays. Various eighteenth century editors flat out refused to admit Shakespeare could have written it. I wonder, what does Asimov say about the play Henry VI, Part I? ALAN: In his Guide to Shakespeare, the Good Doctor points out that some critics have suggested that Shakespeare didn’t actually write the play at all, but instead patched up and polished an already existing work by somebody else. He also points out that in 1592 one Robert Greene wrote a savage satire which appears to be largely directed at Shakespeare and again the claim has been made that perhaps Greene was the original author of the play and he objected to Shakespeare’s changes, as temperamental authors are wont to do. The reference to “Shake-scene” makes it pretty clear who Greene was attacking, although some of those who desperately wish that the Bard had not “nodded” (as even does Homer), argue Greene was simply referring to Shakespeare the actor, not the playwright. In any case, the result of later scholarship too detailed to go into here reluctantly gives Shakespeare the credit – or blame – for this play. ALAN: Oh, that stings! What a bitter man Robert Greene must have been. Of course we can’t leave the subject of Henry VI without at least mentioning the elephant in the room. JANE: Ooh! Elephants! That’s the best part of history. What’s this one? ALAN: Henry’s periodic episodes of insanity. JANE: That’s a big elephant… We’d better save it for next time. I’d also like to chat about where one of France’s most famous warriors fits into Henry VI’s tale. I’m not sure when I realized The King in Yellow was a real book. I first became aware of the title from references in the works of H.P. Lovecraft and his contemporaries. Since The King in Yellow was often mentioned in company with the Necronomicon and other fictional works (as opposed to “works of fiction”) that contained between their pages Dark Secrets, the Merest Knowledge of Which Would Drive the Reader Insane, for many years I thought The King in Yellow wasn’t a “real” book. Eventually, I learned that I was both right and wrong. 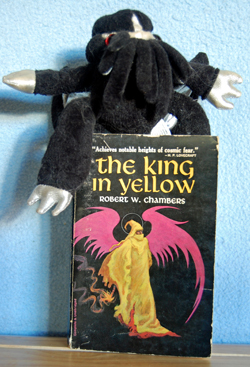 The King in Yellow is both the title of a purely fictional play (the Merest Glimpse of Which – especially the events in the second act – Will Drive a Reader Insane) and the title of a short story collection by Robert W. Chambers. Chambers used the play as an element around which he developed various stories, much as Lovecraft would later use the Necronomicon. In honor of Halloween, I decided that I would finally read The King in Yellow. When I started the first story, “The Repairer of Reputations,” it seemed that the author had gotten his history twisted around. First, I noticed that the name of the President of the U.S. didn’t match any in my memory, but that’s a fairly typical device in contemporary fiction of any era. Winthrop was close enough to “Wilson,” I thought it might be a stand-in. Then the narrator mentioned a war with Germany, but this war had apparently started over the Samoan Islands. That certainly wasn’t the first World War that I knew. And what was this about a German invasion of New Jersey? I quickly flipped to the copyright page to discover that the collection had been published in 1895. Suddenly, the opening line “Toward the end of 1920” which had seemed delightfully old-fashioned and historical, changed the story into futuristic science fiction! How incredibly cool! I was so excited, I ended up reading the first several pages aloud to Jim for our mutual amusement. I was also surprised to learn how early the collection had been published. From the references in Lovecraft, even once I learned The King in Yellow existed, I’d assumed that Lovecraft and Chambers were contemporaries. This error was reinforced by the cover blurb from Lovecraft on my edition: “Achieves notable heights of cosmic fear.” Blurbs are usually provided by contemporaries. Those that are not usually use words like “influential” or “landmark” or something else that clue the reader in that the book is a re-release. However, Lovecraft did the bulk of his work in the 1920’s and 1930’s – the future setting of Chamber’s work. I found that unintentional twist oddly appealing. What’s fascinating about The King in Yellow is that elements in it migrate from author to author, rather like beads strung on a peculiar necklace indebted to non-Euclidean geometry. Robert W. Chambers took several of the terms he uses – Carcosa, Hali, Hastur – from the works of Ambrose Bierce. He expanded this cast of characters (or cosmology; in some cases it’s not clear whether a person or place is being referred to) to include Aldones, Camilla, Cassilda, Carcosa, and Naotabla. These, in turn, were picked up by other authors, not always in a horror/supernatural thriller context as one might expect. Marion Zimmer Bradley mined The King in Yellow for numerous names for her popular “Darkover” books. There is no actual connection, but the fact that she used many of these names for shadowy figures of the nearly forgotten pre-human history of the planet added a certain resonance. I can’t recall if I encountered these names first in the works of Lovecraft and his associates or in those of Bradley, but their recurrence between books added a creepy echo to the stories, as if they both drew upon a definite past history forgotten in all but names. Other authors have continued to make reference to The King in Yellow, adding to the sense that it’s real and out there somewhere, if you can just find the right heap of books in the right old bookstore. More beads on that non-Euclidean necklace. Cassilda: Indeed, it’s time. We all have laid aside disguise but you. Camilla: (Terrified, aside to Cassilda.) No mask? No mask? Sounds promising… I do wonder though, what lies behind the Pallid Mask? What is the significance of the Yellow Sign? Looking for the Wednesday Wandering? Page back one for news about the re-release of “Servant of Death” and some reminiscences about author Fred Saberhagen. 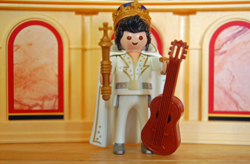 Then come back and join me and Alan as we sort through the true and false about one of England’s most famous kings. JANE: So, was Prince Hal, the young man who would become King Henry V, the rogue that Shakespeare made him out to be? Did he hang out at the Boar’s Head Tavern with Falstaff, Mistress Quickly, and the other low lives? ALAN: It seems unlikely. From the age of twelve, young Henry was very busy fighting his father’s battles. He simply didn’t have time to debauch himself. In his early teens, he led an army against the Welsh rebellion of Owen Glendower. And in 1403, when he was only sixteen years old, he joined his father in the Battle of Shrewsbury where he was severely wounded. ALAN: He was shot in the face with an arrow – shades of the Battle of Hastings in 1066 where it is claimed that the English King Harold died from an arrow in the eye, thus losing England to William the Conqueror. JANE: Face with an arrow? Brrr… Yet Prince Hal didn’t die of his wounds. Lucky for him – and apparently for England. 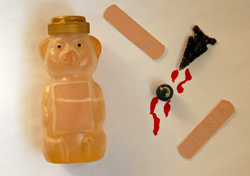 ALAN: His wound was initially treated with honey, which has antiseptic properties. A special tool was designed to unscrew the broken arrow shaft from his face and the resulting heavily-bleeding wound was flushed with white wine. The wound was then packed with wads of flax soaked in bread, honey and turpentine oil. Every two days, the wads were withdrawn and replaced with smaller ones to encourage the wound to close. After twenty days, the healing was complete. It must have been excruciatingly painful and Henry was left with permanent scars. JANE: I found myself shivering in sympathy just reading your description! There’s a lovely book about the medicinal properties of honey and other useful medical treatments now fallen out of use: Honey, Mud, Maggots, and other Medical Marvels by Robert and Michele Root-Bernstein. I quite enjoyed it. Also, it’s the sort of resource that’s very useful for writers who want to add a little spice to their low-tech medical treatments. I wonder where the legends originated that Henry V was a rogue in his youth. ALAN: It’s hard to know where he found the time! The Encyclopedia Britannica says that stories of his dissipation have been traced back to within 20 years of Henry’s death and so cannot be completely dismissed – but it gives no references. The Britannica article then goes on to claim (again, with no evidence) that doubtless the Elizabethan playwrights greatly exaggerated this aspect of Henry’s character. Perhaps it was all just a bit of an urban legend. JANE: Believe it or not, the thought about hanging around with soldiers occurred to me before you got to Mr. Luders’ explanation. I say we should take it as fact! 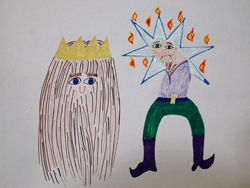 But returning to our young hero… Did the crowned king live up to his youthful heroics? ALAN: When his father died, Prince Hal was declared king. He was crowned at Westminster Abbey on 9th April 1413 during a terrible snowstorm. Opinions were divided as to whether or not this was a good omen. JANE: Those battles were at the heart of Shakespeare’s play, The Life of Henry the Fifth, although the time period was so tightly telescoped that Shakespeare – through the Chorus – actually apologizes to the audience for the liberties he took with time. As we’ve noted elsewhere, this sort of apology was not typical of the Bard at all, which I find interesting. In all his battles, Henry proved to be a brilliant military tactician but he was definitely no humanitarian. At the battle of Agincourt he ordered all the French prisoners to be killed. Many of them were high-ranking nobles who could have been ransomed. But nevertheless they were all killed. JANE: Shakespeare deals with the killing of the French prisoners, although only in two lines and within the context of battle. King Henry is very aware his army is sick and weak. Therefore, the prisoners must die because there are not enough soldiers to guard them. ALAN: A few years later during the siege of Rouen, the city authorities were unable to feed the population, and so they forced the women and children to leave the city in the belief that Henry would let them pass through his lines unmolested. However, Henry refused to allow them passage and the women and children starved to death in the ditches that surrounded the town. JANE: Nasty… But, of course, the town was also at fault, since they made no effort to reclaim their own people, nor did they negotiate their passage in advance. It’s a situation that shows neither side as particularly heroic, since Rouen would have been using existing supplies to keep their own military alive and vital. In turning the women and children loose, they were effectively adding to their ability to maintain the siege. Henry would have been aware of this. Although in his play Shakespeare was clearly trying to show Henry V in his brightest, most heroic light, still the atrocities of war are not completely ignored. The speech King Henry gives before the gates of Harflew is chilling in how it offers the details of what happens in a sacked city, and even more chilling in that the guilt for those atrocities is passed on to the residents of Harflew – making it, in a sense, their “fault” if their old people are horribly murdered, their women raped, and all the rest. No wonder they surrendered! ALAN: I think we have another spelling thing here – all my references have Harfleur, rather than Harflew. (Again, Harfleur is the modern spelling). JANE: Since I’m referencing Shakespeare, not history, I believe I shall retain his spelling. Adds color – and confusion! Henry V has one of Shakespeare’s most stirring and brilliantly written speeches in it. The words that he puts into Henry’s mouth just before the battle of Agincourt on Saint Crispin’s day never fail to put a lump in my throat. The speech is so famous that it has become something of a cliche in its own right. Nevertheless, I still find it incredibly moving. ALAN: I recently saw a TV programme where the British historian Simon Schama suggested that this speech was a deliberate attempt to flatter Elizabeth by drawing parallels with her own speech at Tilbury before the English fleet set off to fight the Spanish Armada – yet another example of Shakespeare ingratiating himself! JANE: Okay… A fine playwright and one who knew on what side his bread was buttered… If he meant to flatter, Elizabeth certainly would have been. ALAN: In many respects, Henry V was an absent king. The military campaigns in France were always his primary concern. But nevertheless he regarded himself as very much an English king. He insisted on using English as his primary language in both his private correspondence and in his military despatches. He also insisted that all official government papers be written in English. In doing this he broke with a 350-year-old tradition. Ever since the Norman Conquest in 1066, French had been the language of officialdom, but from now on it would be the English language that would predominate. In retrospect, this is probably his most noteworthy accomplishment. JANE: Henry’s choice makes sense. How could he spend his life fighting the French, yet give their language dominance? Maybe he would have made more of a cultural impact, but didn’t he die very young? ALAN: Henry died of dysentery in 1422 at the Chateau of Vicennes near Paris in the midst of another military campaign in France. He was only 36 years old. JANE: Even when I first read the play, that would have seemed very young. Now, as my hair silvers, he seems too young not only to die, but to have achieved so much. The next of our Henries is, of course, VI… Shakespeare wrote a lot of plays about his reign, so I’m guessing we’ll have a considerable amount to talk about. ALAN: Ah yes. Henry VI. The man who was King of England. Twice. JANE: Cool! Let’s do it! “Servant of Death” joins my own “Hamlet Revisited” and Fred’s “Mr. Jester” as part of Snackread’s expanding line of short fiction released as inexpensive e-books with classy covers. You can check out their full selection at www.snackreads.com. Although since Through Wolf’s Eyes hit it big, I’ve usually been classified as a fantasy writer, I’ve always written both science fiction and fantasy. Nor has my SF always drawn on the softer social sciences. I enjoy the chance to blow up a space ship or explore mysterious planets. Happily, even after my novels became more likely to be fantasy than SF, invitations from anthologies gave me ample opportunities to write SF. 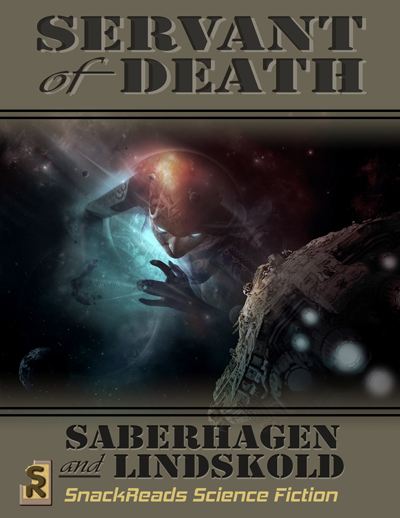 When I was approached to contribute a story for the anthology Man vs. Machine, Fred Saberhagen’s iconic Berserker novels immediately came to mind. I decided to ask the anthology’s editor, John Helfers, if he’d be open to a collaboration. John was enthusiastic. I have a confession to make. When I moved to New Mexico and Roger Zelazny wanted to introduce me to his friends, the only one I was nervous about meeting was Fred Saberhagen. I’d read works by George R.R. Martin, Suzy McKee Charnas, Melinda Snodgrass, and others in the New Mexico gang… I’d even taught Walter Jon Williams’ novel Hardwired in my SF class and thought it was among the best of the cyberpunk pieces I’d read. But it was Fred Saberhagen who awed me. I loved his novel, Mask of the Sun. I’d spent a lot of time with Berserkers and Swords. His An Old Friend of the Family was one of the few vampire novels I actually liked. And, of course, I’d read Roger’s two collaborations with Fred: Coils and The Black Throne. Roger insisted I had nothing to be nervous about, that Fred and Joan were lovely people. Still, as we walked up the pathway and through the arch to their front door, I was indeed nervous. I had no reason to be. Fred and Joan were welcoming. Both Fred and Roger could be quiet in larger groups, but were quite chatty with each other. And Joan proved to be one of those people who is a vibrant force of nature. Over the next year, I grew very fond of them both and was grateful when they opened their home for the memorial we held when Roger died. After Roger’s death, Jim and I continued to meet up with Fred and Joan for lunch or dinner. But, friends or not, I was still nervous about asking Fred if he wanted to write a story with me. About the time I had the invitation to contribute to Man vs Machine, David and Sharon Weber came to visit me and Jim in New Mexico. We took the Webers over to visit with Fred and Joan – with whom they had hit if off on earlier visits. While the others were chatting, I drew Joan aside and explained that I wondered if Fred might like to write a Berserker story with me. I told her how I was very shy about asking because, not only was Fred “Mr. Berserker” (and so it seemed incredible cheek to ask to write in his universe), I’d also admired Fred’s work for a long time. When we left with the Webers some hours later, I was both walking on air and terrified I’d screw up. Over the next few weeks, I re-read a bunch of Berserker stories. I came up with a list of questions and suggestions for Fred. Then we arranged to get together at the Saberhagens’ house. Fred died near the time “Servant of Death” was released. More than ever, I was happy I’d screwed up my courage and asked him if he wanted to write with me because, if I’d waited, we wouldn’t have had a chance. Later, Joan would invite me to write another story set in one of Fred’s universes, that of the novel Mask of the Sun for the landmark anthology, Golden Reflections. My story is called “Like the Rain.” I’m very fond of it. I’ll admit, as I put my ideas together, I imagined myself back at the table with Fred, spiral notebook between us on the table. A few neat things before we get behind the wheel and speed off to this week’s Wandering. First, I’ve donated a hard cover first edition to an on-line raffle to promote a new re-release of Walter Jon William’s novel Hardwired. I’m a big fan of this story. I hope a bunch of you will take the chance to get it and discover how smart cyberpunk can be. Second, last Friday Baen Free Radio released the first of two parts of an audio interview featuring me, David Weber, and Toni Weisskopf discussing the release of Treecat Wars. This Friday will see the second part. You can download both podcasts in a variety of formats. A while back, I asked a few friends what they’d like to see me discuss in future Wanderings. My friend, Tori, asked if I’d explain more about why I frequently say that I can’t tell whether a book or anime is “good” until I reach the end. I had to think about why for a while, but I finally came up with a way to explain this fairly complicated thought process. I’m going to start by clarifying the question. What Tori was asking about were those stories that I enjoy enough to get involved with. So, this leaves out those stories that failed to hook me at the start or lost me early on. It only includes those that I’m enthusiastic enough about that I plan to finish. This means the stories already have the basics down (good characters, interesting plot elements, a well-defined setting). It also means that the subject matter suits my taste. I’m the first person to admit that there are plenty of really fine stories out there that simply don’t work for me personally. V is for Vengeance begins with a long prologue about which I had serious doubts. However, one of the reasons I’ve stayed with this series is that Grafton often shifts her storytelling format, something that has kept the series from becoming formulaic. So, long prologue or not, I kept with it. At the end of the prologue, an event happened about which I felt strong doubts. To avoid spoilers, I’ll just say that it had to do with the death of the young man who was central to the prologue. It wasn’t so much that he died that troubled me, it was why he died. It didn’t make sense. Was Grafton slipping? Had her editors lost their minds? I’ll admit, if this hadn’t been the only audio book I had available at that time, I might have quit. But, I’ve listened to all the other books in the series and I wanted to see what happened when Kinsey got on-stage. Well, initially, I didn’t feel a lot of hope. Kinsey’s case involved a professional shoplifting ring. Eventually, there was a connection between the prologue and this plotline, but it seemed pretty thin – certainly not enough to justify that long, long prologue. Eventually, I put the prologue out of my head and concentrated on the story at hand. It had strong “grey” characters with complex motivations. There was lots of really cool information about how shoplifting, of all things, has become Big Business. I can’t say much more about the novel without providing too many spoilers but, as the book moved toward its final third, the prologue began to matter. By the book’s conclusion I was bouncing up and down. Not only did the prologue matter, better and better, the elements that I had thought were weak fit it. They weren’t mistakes! They weren’t sloppy writing! I was incredulously happy. I had a similar reaction to The Black Prism by Brent Weeks. Initially, I wanted to read it because Brent had been one of the Guests of Honor at this year’s Bubonicon and I had been intrigued by many of his comments during the Guest of Honor presentation. The Black Prism was a Very Fat Fantasy novel, however, and my reading time is very thin. I even considered looking for the book in audio, but some of Brent’s (very funny) comments had been about the uneven quality of his audio book readers. I couldn’t remember if this had been a book he had liked as presented in audio or not. However, enough of the book interested me to keep me going. By the end, I could honestly say “I liked it. Interesting layered political problems. Complex characters . Gritty but not self-indulgently so. Creative magical system, well used and well intertwined into the plot.” Will I read the next one? Yes. However, I’ll probably wait until I can give it the time it deserves. This would be a perfect book for a long plane flight. Airport waiting time and flight time would seem a pleasure, not a burden. Sadly, this is not always the case. I hate mentioning books that didn’t work for me, but in this case I fear I must. One example is John Scalzi’s popular novel, Old Man’s War. I acquired it when it was a new release, so was unbiased by any press. I had met John Scalzi at a book fair and found him an intelligent person, so I was inclined to view the book with favor. 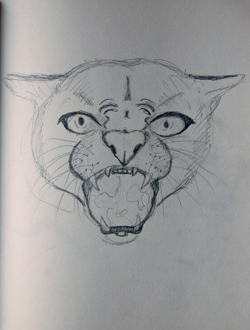 I might even have started it on the plane on my way home. Initially, I was very enthusiastic about Old Man’s War. 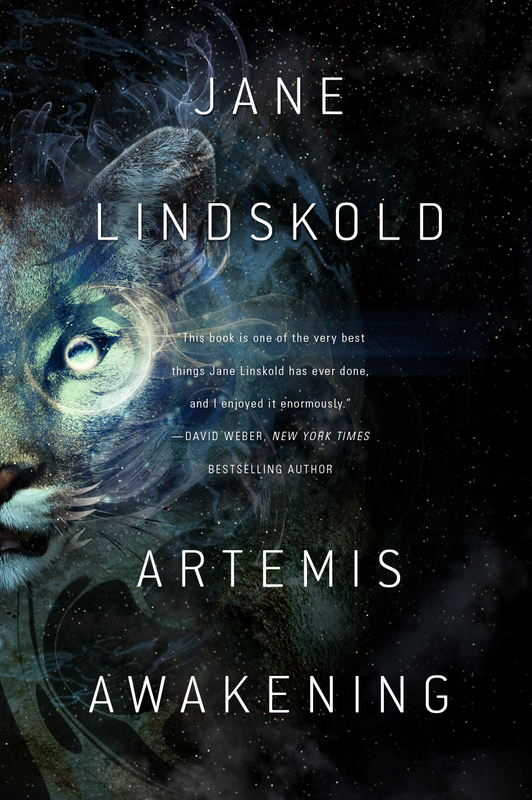 It had a good conceit, some interesting world-building, and characters I was interested in. I remember expressing my enthusiasm over the phone to my friend, Yvonne, ending, as I so often do, with “But I won’t really know until I finish.” Sadly, by the time I finished, my enthusiasm had dimmed. The compelling question of how can society best use the wisdom and experience of older people whose bodies won’t necessarily let them function at full capacity had vanished into action adventure heavily indebted to novels like Heinlein’s Starship Troopers. (A novel which, by the by, I like.) The main character’s difficult choices and ethical decisions were eliminated or diluted by a wealth of unlikely wish fulfillment. Unlike, say, Terry England’s excellent novel Rewind, which deals with similar questions without losing sight of them, even when the action becomes intense and the characters are in serious jeopardy, I felt that Old Man’s War had the start of an excellent novel, and a car wreck of a conclusion. There are some novels or series that I like even though they are in some way weak or disappointed me at some point. However, these aren’t the ones I recommend or, if I do, I’m usually pretty realistic about admitting they have flaws but that – despite the flaws – there’s something there I like. At what point do you start recommending a book? Am I alone in needing to get to the end before doing so? Looking for the Wednesday Wandering? Page back one to learn what a professional writer’s life and origami have in common. Then come back and join me and Alan as we continue our tour of the Henries! JANE: Now we get to the King Henry whom Shakespeare made very familiar, even to American audiences: Henry IV. He had two plays named for him and an argument can (and has been) made that the play The Tragedy of King Richard the Second (Richard II for convenience) is as much about Henry IV as it is about Richard II. So, what do you think was the appeal? ALAN: Probably the drama associated with his accession to the throne. He took the throne by force from his cousin (who ruled as Richard II). Henry was the first of the Lancastrian kings. The House of Lancaster was an offshoot of the Plantagenets, and Henry certainly had a claim to the throne by blood, but not by right of primogeniture. JANE: So were Henry and Richard close as cousins? After all, being cousins doesn’t automatically mean they were friends, especially in those days before the internet made it possible to have friends on the other side of the world. ALAN: All my references use “Bolingbroke”! I have a Complete Shakespeare (not a distinguished edition), Asimov’s Guide to Shakespeare and a 1966 Britannica (Volume 11 – Halicar to Impala). Henry was actually born at Bolingbroke Castle in Lincolnshire. The castle is long gone, but the modern day village of New Bolingbroke (yes, that is the official spelling) is alive and well. JANE: How very odd… Hang on while I rummage a bit. Ah, hah! So we’re both right and should continue in our chosen course! Happiness! JANE: I’m seeing some interesting parallels to Shakespeare’s own time, but I’ll wait a moment, so as not to interrupt the flow. Please, go on. ALAN: Righto. Henry spent the next few years abroad. He participated in the siege of Vilnius, the capital of Latvia, and he went on a pilgrimage to the Holy Land. He took a vow to lead a crusade to free Jerusalem from the infidels, but he never followed through on that vow. JANE: So many did take that vow and didn’t succeed. I don’t think we can hold that against either Henry Bullingbrook or Henry IV, as he became later, although that vow does have some interesting ramifications later on. ALAN: In 1399, after the death of Henry’s father, John of Gaunt, Richard confiscated the Lancastrian estates. This gave Henry the perfect excuse to raise another army in rebellion against Richard. 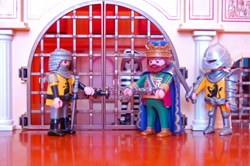 Henry quickly defeated the king’s forces and imprisoned Richard. Richard abdicated and Henry declared himself king. Richard died in prison in mysterious circumstances, almost certainly at Henry’s instigation. After his death, Richard’s body was put on public display to prove to everyone that he was truly dead. However, the conspiracy theorists of the day ignored that inconvenient evidence, and for many years afterwards rumours continued to circulate that he was still alive and actively attempting to take back his throne. JANE: Long live rock and roll! Before we move into the actual reign of Henry IV, there are a bunch of interesting points I’d love to touch on. We’ve talked a lot about why Shakespeare skipped certain of the king Henries, even when, like Henry II, their lives seemed set up to provide the best sort of drama. However, even more than most modern writers, Shakespeare had to take care not to offend the reigning power structure. After all, not only were they his patrons, they could have him executed for fomenting rebellion or for treason. So, while the life of Henry II was dangerous ground, the life of Henry IV was fertile and interesting. Like Richard II, Elizabeth I faced the problem of a charismatic rival with a claim to the throne in Mary Queen of Scots. ALAN: My English teacher at school made this point to us very strongly. Shakespeare lived in turbulent times. Plays could be (and were) censored and sometimes banned, and playwrights lived under the threat of imprisonment or worse. Anything that flattered the reigning monarch had to be a good thing and Shakespeare’s plays are full of such references. JANE: Good teacher! Literature enjoyed in context is a great way to immerse yourself in the vagaries of history. Although many plays and movies have shown Elizabeth and Mary meeting, actually, they never did. Did Elizabeth regret finally ordering the execution of her cousin? We’ll never know, but I think in Shakespeare’s portrayal of Henry IV’s usurpation of the throne of a sympathetic (if somewhat weak) monarch and that monarch’s eventual execution, Shakespeare was supporting Elizabeth and her choices – that basically sometimes monarchs need to remove rivals lest they cause trouble in the future. And, as you noted, even dead, even with his body on public display, Richard II continued to haunt the reign of Henry IV. ALAN: The parallels are clear and they would not have been lost on the audiences of the day. JANE: It’s also interesting to note that friends of the Earl of Essex arranged for a revival of Richard II on the eve of his rebellion. Many feel this was intended as propaganda, meant to make the residents of London rise up in support of the Earl. If so, it failed. Yet Elizabeth did not overlook this. A few months following the failed rebellion, she remarked that she herself was Richard. ALAN: She was a smart lady! JANE: Shakespeare’s Richard II is rare among Shakespeare’s historical plays in that a strong argument can be make for it also being a tragedy in the classic sense where a “fatal flaw” undermines the main character and leads to his eventual destruction. This cannot be said for many of Shakespeare’s historical plays, which are “just” ripping good dramas with a historical foundation. For academics, who like to divide things into neat compartments, The Tragedy of King Richard the Second raises arguments. ALAN: Richard was his own worst enemy. After supressing the rebellion of 1387, he ruled peacefully and well for some eight years or so. Then, for no readily apparent reason, he started to take his revenge on the rebels, executing some and exiling others. This created much resentment. His confiscation of the Lancastrian estates was the final straw that gave Henry the excuse he needed to take the throne. Some historians have suggested that Richard was insane, but it seems more likely that he suffered from a personality disorder verging on paranoia. JANE: Absolutely! Shakespeare certainly shows this unevenness. In modern terms, the Shakespeare’s Richard’s fatal flaw is self-delusion. Repeatedly, throughout the play, he speaks of the title, the trappings, and the symbols, as if these are all it takes to make a king. He cannot believe that the crown will not protect its wearer and, even when he abdicates, still claims for himself some remnants of the title. Shakespeare makes clear that Richard II was not a bad man – something he could not have done if he’d chosen to show him as an insane paranoid. The scenes with his wife are particularly touching. However, Richard was a bad king, unwilling to accept the responsibilities that went with his titles. No wonder the people of London did not rise up to support the Earl of Essex against Elizabeth I. Whatever her flaws, she was a monarch who took her duties very seriously. No one could compare her to Richard II. Indeed, the effort might have hurt the rebellion, because anyone seeing the play would assess Elizabeth in her best light. ALAN: And it helped that Elizabeth was a very, very popular and well-loved monarch. JANE: When we started, you mentioned that the drama associated with Henry IV’s accession to the throne was probably the reason why Shakespeare devoted three plays to him. That’s true to a point, but Richard II is about that accession. The next two plays, Henry IV, Parts One and Two, deal with the difficulties of holding onto a throne when you have usurped it. I’d love to take a closer look at the historical realities underlying Shakespeare’s Henry plays next time. Are you game? The last week or so has been one of those times when I find myself bent and twisted in a lot of different directions. Treecat Wars, the second of my novels with David Weber, is officially released. Now those of you who have been reading the teasers on Baen’s website can find out what happens to Stephanie Harrington on Manticore, how Stephanie’s friends cope as they take over being the treecats’ champions without the presence of their fearless leader, and if the Landless Clan finds a new home or is destroyed in the course of the search. It’s a thrilling read, if I dare say so myself, with lots of action, intrigue, and some really involved interpersonal conflicts to round out the tale. Last week, Weber – I’ve always call him “Weber,” not “David”; by now it’s a pet name and he’d probably collapse in shock if I called him “David” – and I did a podcast interview for Baen Free Radio. Just to make it more fun, editor Toni Weisskopf joined us. The interview was conducted by Tony Daniels, but I think it’s pretty clear which Toni/y is speaking when. Anyhow, we had a lot of fun. Just from how we talk all over each other and Weber keeps saying “I just want to finish this thought…” listeners will probably get a pretty good idea of what it was like as we were designing the books! The interview goes up on Friday, October 11th at: http://baen.com/podcast/podcast.asp. Yesterday, I did an interview with Josh Gentry, the editor of Snackreads. We’ll talk a bit about my humorous short story, “Hamlet Revisited.” (Available at www.snackreads.com for a mere 99 cents). However, we also plan to talk about a wide variety of topics related to writing and how being a professional changes the game. If all goes well, the interview will be available not only as a podcast, but on video on YouTube – an intimidating prospect for someone as camera shy as I am! I’ll let you know when it’s available. As you know from last week’s post, Artemis Awakening is moving through the steps involved in its May 2014 release. The cover art is ready, the book jacket copy is being prepared, and early reviews solicited. The book is now available for pre-order for those of you who want to make sure to be among the first to get a copy. As a break from all the professional activity, this past weekend, Jim and I went with our friend Michael Wester to see the show put on as a part of the 2013 Pacific Coast OrigamiUSA Convention. It was well worth the visit. The local hosts had tied the decorations into the Balloon Fiesta, which is also going on, so both the hotel foyer and the showroom were liberally hung with brightly colored balloons made from folded paper. The hotel atrium was dominated by a ten-story high balloon sculpture made from twisted crepe paper, anchored to an actual balloon basket far below. In the showroom, we inspected numerous intricate origami works. I’d like to say I had a favorite, but that would be impossible. There was so much variety and so many different styles – from representational to abstract, with everything in between. The rendition of the Church of San Felipe de Neri in Old Town, Albuquerque. was incredibly impressive, standing at least four feet tall at the tips of the spires. We’d thought it must have been created by one of the local clubs, but it turned out to be the work of a Canadian couple. They had taken their images from the web and used Google maps to make sure they had elements like the intricate details of the roof angles just right. 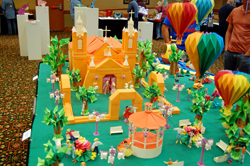 The church was surrounded by a colorful garden, complete with myriad origami people, each unique and each wearing their own set of carefully folded paper shoes. While the church was such a perfect representation that anyone local immediately knew that this wasn’t just any Spanish-style church, but one specific church, the garden was a fantastic riot of improbable combinations: the lamp posts in purple, trees sharing space with gigantic (in contrast) flowers. I wasn’t surprised to find out that one of the other displays that had impressed me – a set of twenty different miniature origami flower arrangements – had been done by the same people. As I wandered around the room, studying each display, going back for second and third looks, I found myself musing that there is a lot of similarity between origami figures and a professional writer’s life. Like origami paper, we get twisted and folded in different ways. 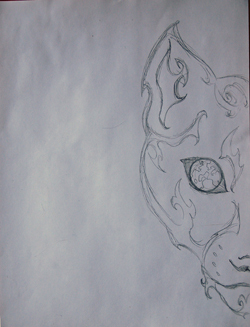 We’re as odd a combination of elements as a kimono-wearing rabbit folded from sheets of paper. We’re public and private, highly visible, yet oddly at our best when the techniques we use to create our tales are invisible and we ourselves vanish to be replaced by our creations.